At Afrikrea.com, we do not believe in the myth of predefined sizes. Each body is different and deserves an outfit just as unique. 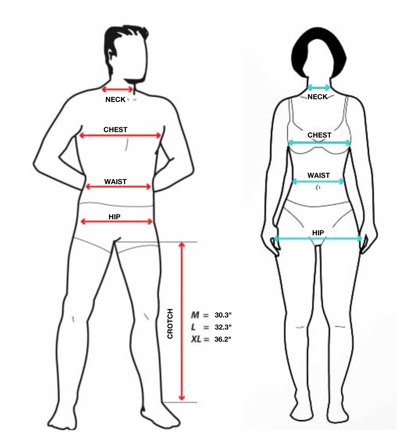 Therefore, to use this guide, we recommend using your measurements in inches (as explained below) rather than the "4 to 22" sizes. From there you can select the corresponding international size for your order, and each seller will then be able to make sure to send the PERFECT fit for YOU! Measure around the neck at the neck. Measure around your bust where it is wider by placing the tape measure under the arms and over the shoulder blades. Measure in the hollow of the waist. Keep your feet together and measure the widest part. Measure the top of the crotch up to the ankle bone.